Goose Films is a wedding videography team based in Boise, Idaho. We create cinematic love stories and would be overjoyed to document your moments, your emotions and your wedding day. 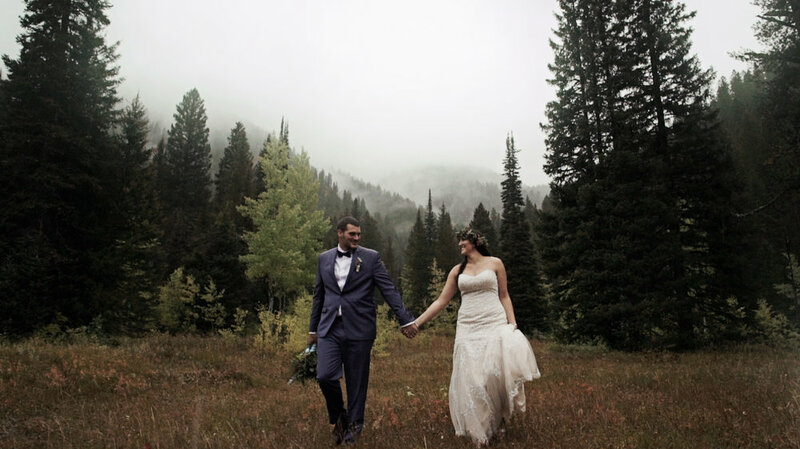 Goose Films is a wedding videography team based in Boise, Idaho. We create cinematic love stories. A wedding film has the ability to bring back all the emotions from your wedding every time you watch it. We would be overjoyed to document your moments, your emotions and your wedding. These two were so kind and such a hoot! They had a super impressive choreographed first dance and were so much fun to film. Their venue, location and decor was stunning and such a perfect setting for a wedding. These two have the cutest love story, and it was so special to create their film! These two are fun loving and as cute as it gets! Their Brundage Wedding was beautiful with breathtaking views. These high school sweethearts celebrated their wedding in the beautiful forest of Horsethief Reservior. They shared the day with a big group of family and friends but took a moment to share their vows privately. They are absolutely the sweetest couple and we loved spending the day with them! ShaeLee and Chris had a glamorous wedding at the Chateau des Fleurs in Eagle, Idaho. ShaeLee has such a bubbly, sweet personality and Chris is her prince charming. They’re an awesome couple and were total showstoppers. Ashley and Chris had the biggest smiles all day and embraced every moment of their wedding! They had the coolest Boise wedding and you will fall in love with their little family. It poured almost the entire day during Kelsey and Seth's wedding. But even if it's raining, it's still stunningly beautiful in Victor, Idaho. Kelsey and Seth are such a fun couple! They had an incredible wedding and their love was for each other is so apparent! On a beautiful day with fresh snow on the ground, Nicole and Justin exchanged vows and celebrated their marriage in one of the prettiest spots in Idaho. We felt so lucky to document Nicole and Justin's elopement. It was so sweet and intimate and everything you want an Elopement to be. We love our adventurous couples and Nicole and Justin tramped through the snow all day like champs! There are so many tender moments in this wedding! We loved this couple and their beautiful day! Some highlights include the ceremony at sunset with downtown Boise in the background and their first look! The first time I met Ashlei in person, I felt like we were instant friends! I knew I was one of the many who felt this way as I observed the countless number of family and friends who adore these two. Lots of their family and friends came together in helping put their wedding together and it was absolutely stunning! They had so many memorable moments on their wedding day and it was just so much fun to be a part of. Dave and Tara had an incredible wedding at the Grove hotel. We loved spending the day with them and capturing their magnetic personalities! Some highlights include their funny and heartfelt vows and one of the best grand entrances I've ever seen! Jade and Javier are just an awesome couple and we loved learning more about their sweet and funny love story. It is hard not to love these two! Javier's family came all the way from Panama to attend the wedding, it was so incredible to see! I really love weddings with great vows and it was so awesome how they read theirs in both English and Spanish! Leanne and Chris are a couple who made us feel so lucky to get to know them and see what their lives are all about. They planned their wedding from Perth, Australia but came home to celebrate with family and friends. Leanne and Chris were married at Blackhawk on the River, in a gorgeous area next to the river in McCall Idaho. Sarah and Daniel were married on the coldest day of the year but you’d never know it watching how happy, fun and silly they are together! Troy and I were bundled up from head to toe while these two troupers withstood the cold for nearly an hour during pictures. Sarah and Daniel have so much love for each other, we were thrilled to capture their momentous day.